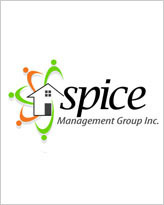 Spice is comprised of an expert crew of Superstars who have a broad range of experience in many areas including: accounting, records management, Co-op management, Co-op law, maintenance, community building, financing, project management, Co-op education and much more. The Spice Crew works together as a team to deliver exceptional services to every member of each Co-op we are partnered with. John has a deep passion for cooperative housing with extensive, diverse and winning experiences in the sector. John has spent 15 years building successful social enterprise partnerships. Prior to that he spent 9 years in local ski resorts in Property Development and Management. John has a Bachelors’ of Business Administration with a focus on Finance, Accounting, Law and Management. Prior to founding Spice, John spent 12 years working with another Co-op management firm here in BC. Three years ago John completed Community Economic Development with SFU and determined the sector needed management with a new vision and different outcomes. Soon after Spice Management Group was formed. Michelle has a very strong administrative and customer service background. She enjoys problem solving, working with others and thrives in a team environment. Michelle works hard to achieve efficiency. She is dedicated to making processes run smoother for all parties involved. On a personal note, she is an Aries, has a tarantula and a major sushi addiction! Isobel has a background in public policy research and analysis, stemming from both her UBC Political Science degree and her various volunteer ventures. She is a well spoken, fun loving individual with a personal interest in finding solutions to the housing crisis and helping to build stronger communities. During work hours Isobel takes a keen interest in learning as much as she can about the housing co-op sector. Outside of work, her African Grey Parrot and two cats take up most of her time. Julie brings a wealth of project management, marketing, and corporate engagement experience to Spice Management Group. 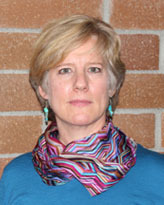 She acted as the Commercial Sales director with the Co-operative Housing Federation of BC for 13 years before she moved on to complete a certificate in Advanced Project Management. Julie’s passion for housing co-operatives and renovation projects is reflected in her passion for completing projects with the most positive and holistic results possible. Tena is a certified roofing inspector and mold remediator. She has over 20 years of experience in many different areas within the Construction industry. Tena specializes in inspections and exterior renovations and is a great addition to the Spice family. Camilo brings a wide range of skills, knowledge and dedication to this role. His belief of “everything is fun” ties in with his positive outlook on life. Having graduated with a BBA in Finance, Camilo chose to work in this sector because of his interest in people, policies and procedures surrounding subsidy. 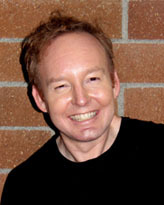 At Spice, he enjoys the creativity within his role and achieving great results. Having a passion for art, his family and having the perfect friendships, Camilo brings a compassionate and inspired outlook to his role at Spice. Jeff has been with Spice for 2 years and comes with a maintenance and repair background. Outside of work Jeff is an R/C Drone enthusiast! The Crew at Spice work together to establish a long term plan (operational funding, savings and capital planning) for every one of our clients to ensure their viability well past the end of their Operating Agreements.